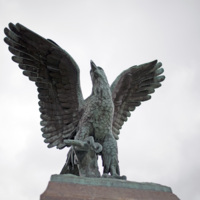 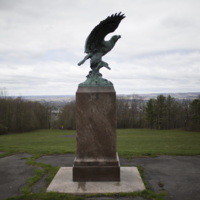 Charles Keck, “The Eagle,” Art Oneida, accessed April 20, 2019, http://artoneida.org/art/items/show/226. 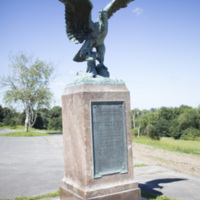 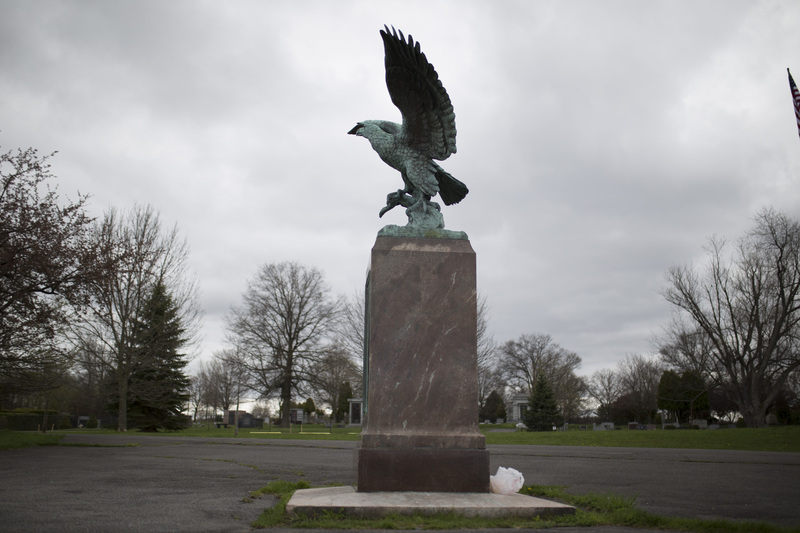 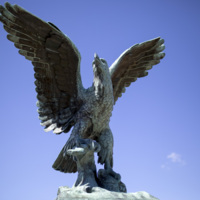 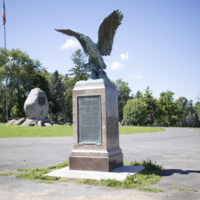 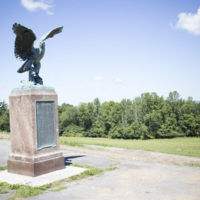 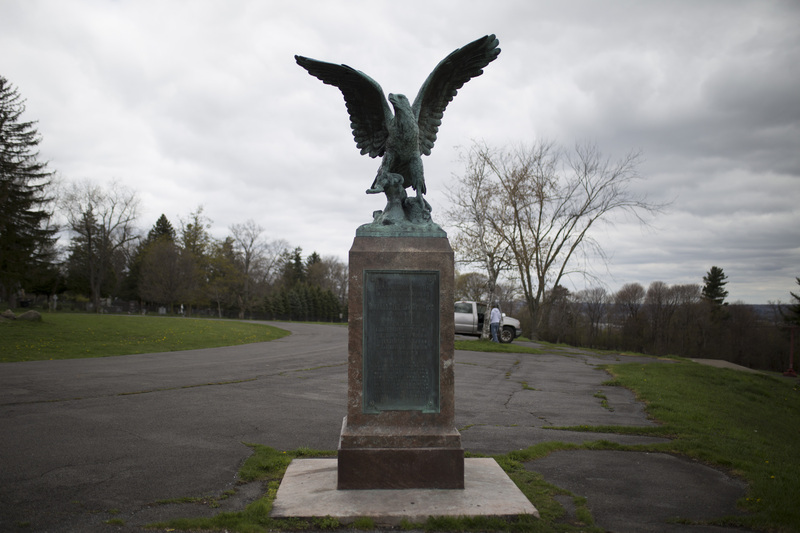 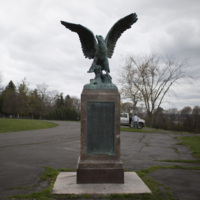 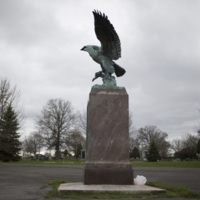 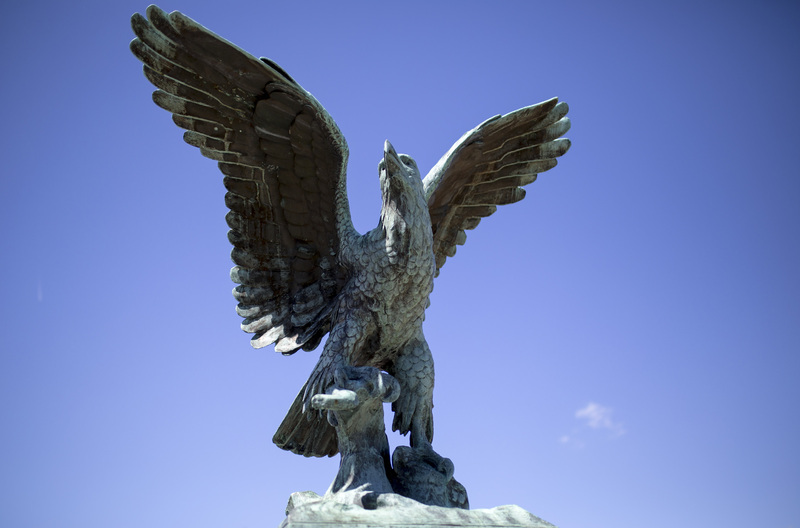 Description: Utica’s beloved Eagle monument perches atop the highest hill at Roscoe Conkling Park. 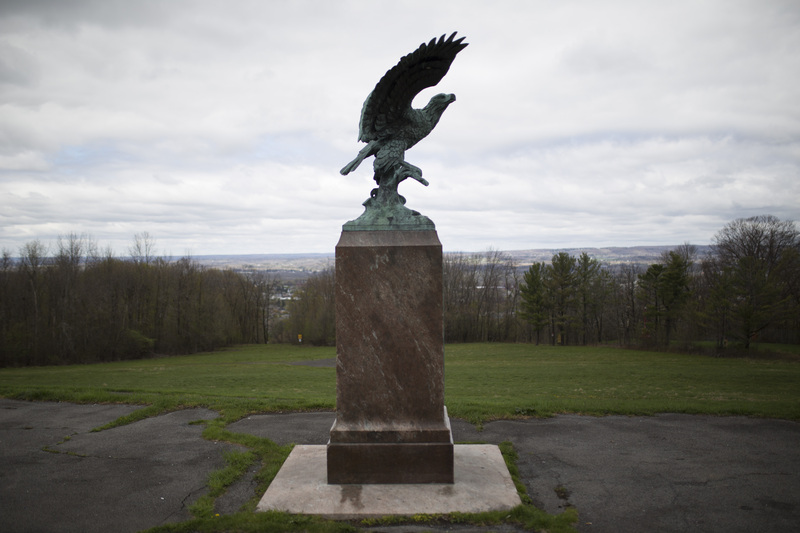 From here, you can look out at the beauty of the Mohawk Valley. 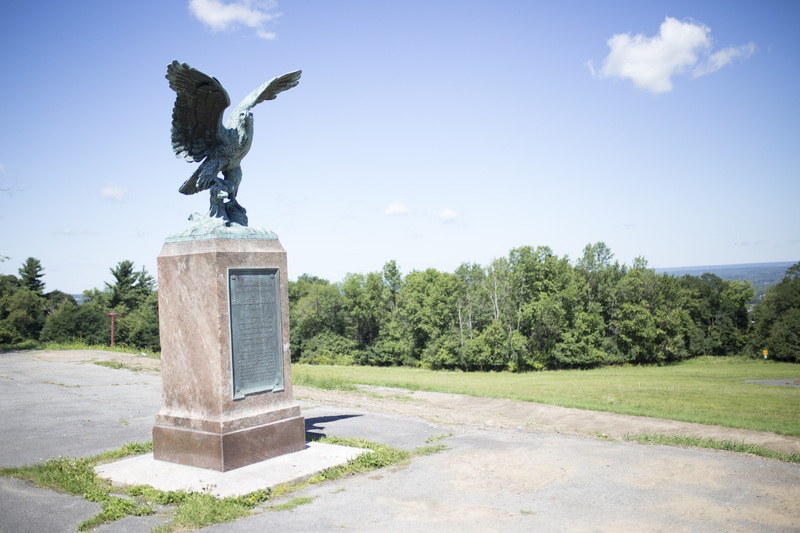 This monument has become a fundamental part of the folklore surrounding Thomas Redfield Proctor, one of Utica’s most famous benefactors. 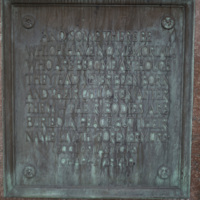 Story has it that Proctor’s wife commissioned the bronze by Charles Keck to honor both his patriotism and her love for him. 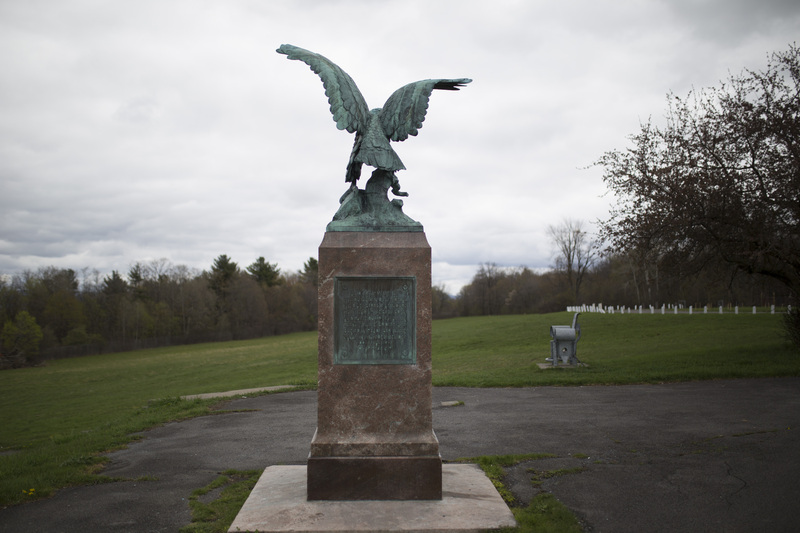 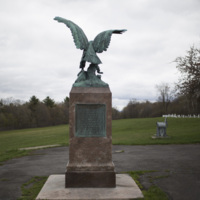 The work commemorates the occasion when Proctor freed an American eagle on the 4th of July. 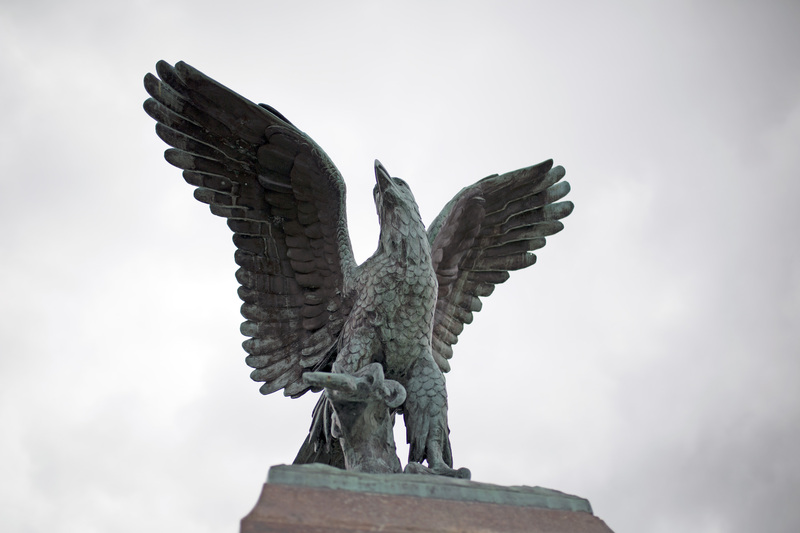 He climbed to the top of the American Hotel on the west side of Bagg’s Square and let the eagle fly free. 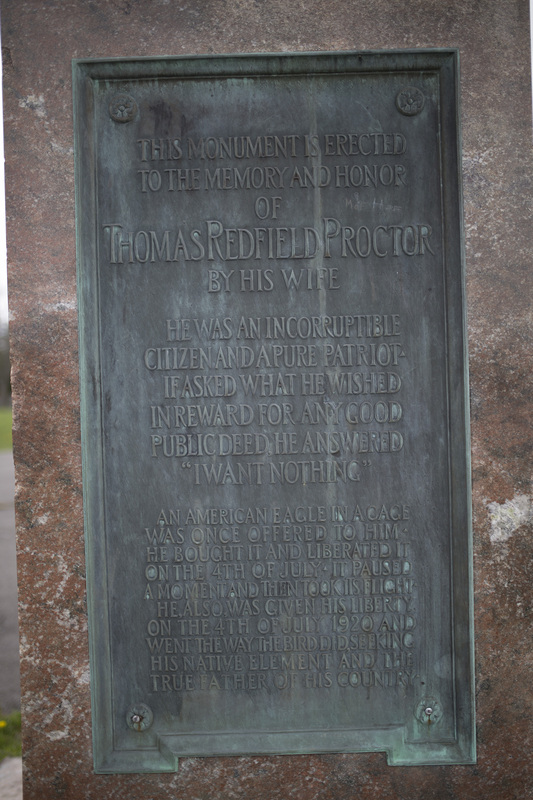 Proctor also found his freedom on a later 4th of July. 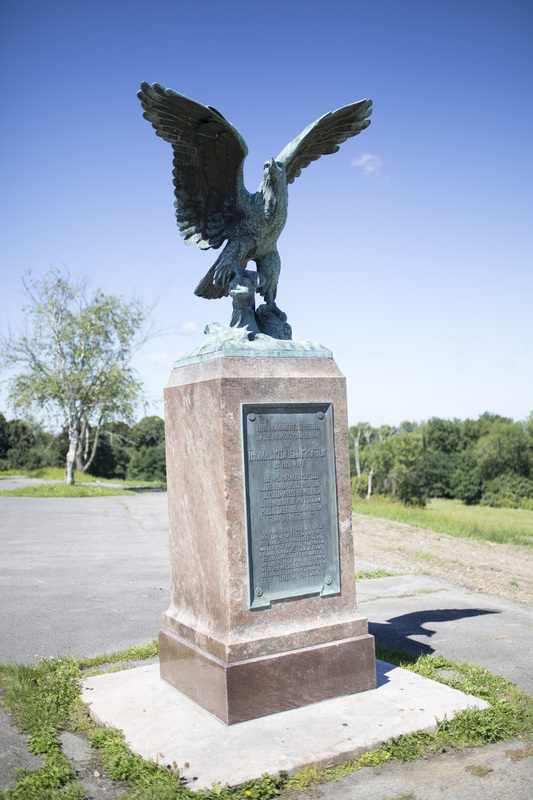 The plaque on this statue tells this story and honors his passing on Independence Day in 1920. 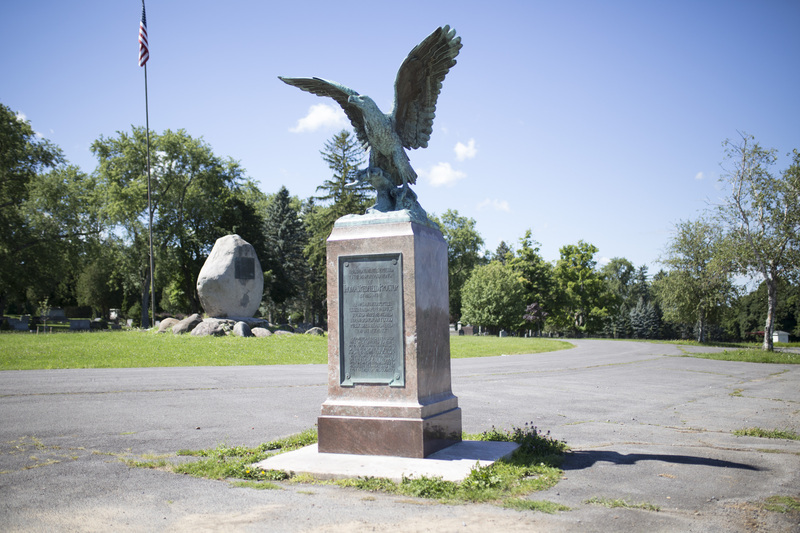 With wings spread, ready for flight, Utica's bronze eagle captures this moment of freedom. 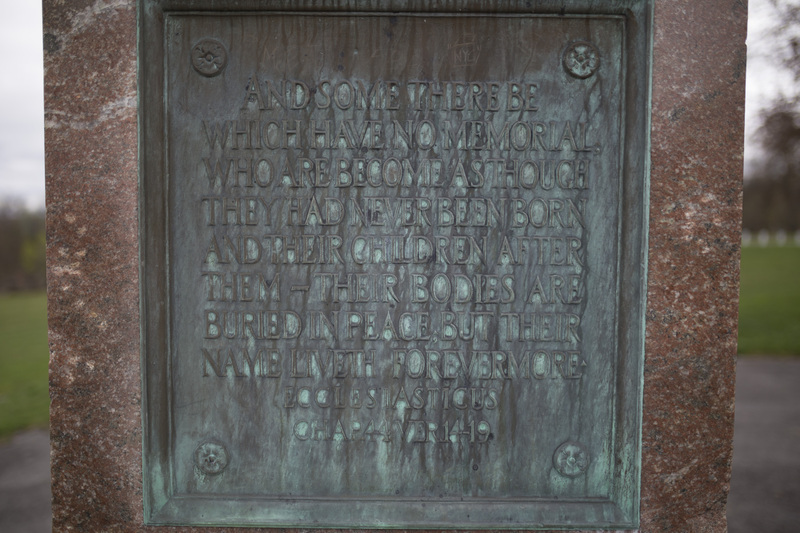 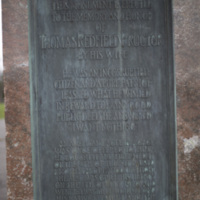 Inscription: "CHARLES KECK SC 1929" ; (On plaque on front of base:) "THIS MONUMENT IS ERECTED / TO THE MEMORY AND HONOR / OF / THOMAS REDFIELD PROCTOR / BY HIS WIFE / HE WAS AN INCORRUPTIBLE / CITIZEN AND A PURE PATRIOT / IF ASKED WHAT HE WISHED / IN REWARD FOR ANY GOOD / PUBLIC DEED, HE ANSWERED / "I WANT NOTHING" / AN AMERICAN EAGLE IN A CAGE / WAS ONCE OFFERED TO HIM- / HE BOUGHT IT AND LIBERATED IT / ON THE 4TH OF JULY-IT PAUSED / A MOMENT AND THEN TOOK ITS FLIGHT / - / HE ALSO WAS GIVEN HIS LIBERTY / ON THE 4TH OF JULY 1920 AND/ WENT THE WAY THE BIRD DID, SEEKING / HIS NATIVE ELEMENT AND THE / TRUE FATHER OF HIS COUNTRY"; Signed Founder's mark appears.